Beka is tenacious, clever, and brave…and brave for precisely the right reasons. It’s not always easy to do the right thing but she often must set her fear–not only for herself but for others–aside to do right. She makes mistakes, but learns from them. Like all of us, she is usually too hard on herself, but is also too pragmatic to keep herself down for too long. For me she is one of Tamora Pierce‘s best drawn characters…and Pierce is known for drawing exceptionally realistic characters. So who is your favorite female protagonist? Feel free to comment here, on Cassandra’s blog, or create a post of your own. 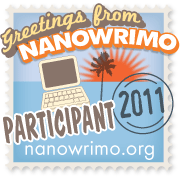 This entry was posted in Ramblings and tagged beka cooper, blog, cassandra jade, female, fiction, protagonists, tamora pierce. Bookmark the permalink. Tamora Pierce is getting a lot of love from this list. I may need to read more of her books – I’ve only read a few so far. Thanks for adding yours to this list. Definitely…my wife turned me on to her work and she is really good with characterization.